During the first part of the 18th Century, the majority of the Native Americans on the Atlantic coast had found themselves pushed out of their native lands, or they had died from exposure to European diseases. At the same time, the population of areas like New England had become increasingly populated. For example, the state of Georgia saw a six-fold increase in population between the years 1790 and 1830. As the United States grew, so did the hostile towards the Native Americans. The new white European settlers were against the idea of coexisting with Native Americans, and they called for their eviction. They believed the the United States should be comprised of only states that were east of the Mississippi River. They wanted all of the Native Americans to be relocated west of the Mississippi River where they believed there was plenty of room for them. In 1804, the United States Congress began exchanging Indian land east of the Mississippi River for land west of the Mississippi River, and under their authority some tribes were moved. Then, in the 1820's, under President James Monroe, the movement towards large scale removal gained momentum. Most of the attention was focused on the Five Civilized Tribes that had inhabited the South. They were the Creek, Cherokee, Seminole, Chickasaw, and Choctaw tribes. Ironically, these tribes had already readily adopted the Euro-American lifestyle. They now dressed like farmers, lived in wood framed houses, and practiced modern farming methods. The Cherokee culture had assimilated to the point that they now had a written language, a representative government, and their own newspaper. However, none of this mattered to the new European settlers. Andrew Jackson, the Indian fighter, was elected President in 1829. President Jackson had defeated the Creek Indians at the Battle of Horseshoe Bend in 1814. Jackson had long been against treating tribes as independent nations. He was also highly in favor of ethnic cleansing or forced relocation. He also wanted to remove the Native Americans that lived east of the Mississippi River. Jackson believed that the two cultures could not coexist. As a result, the House of Representatives passed a law called the Indian Removal Act of 1830. The Indian Removal Act, was now national policy, and the Cherokee Nation would suffer tremendous personal loses as a result. Over 16,542 Cherokee were removed and foxed to march a thousand miles under horrendous conditions. Over 4,000 would die from exposure, disease and harsh conditions in route to the new Indian Territory in present day Oklahoma. Most had lived in the state of Georgia for generations, and they were now forced to leave everything behind. The winter of 1838-9 was especially brutal. John Ross, who was one of the Cherokee leaders who is credited with saving many lives. It was Ross's idea to have groups forage for wild plants. Otherwise, the toll would have been much greater. 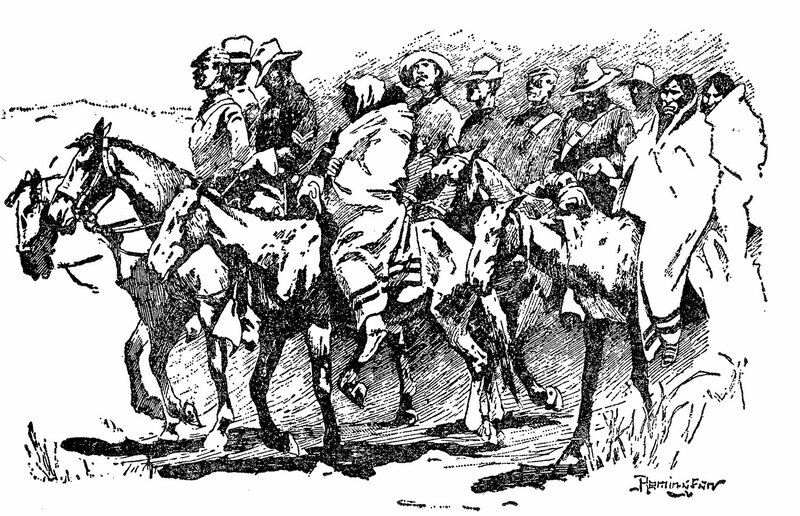 In many cases, the U.S. Army would not pause even to let the Cherokee bury their dead. In addition, to the Indians that were removed, freed black slaves were also removed and relocated. The Indian Removal Act was completed by 1837. Each of the Five Civilized Tribes was given an assigned sector in eastern Oklahoma. The Seminoles received the smallest amount of land. They were told that this would be their new permanent home land, but it wasn't long before settlers were again pushing them out of here.